I won second place, for the photo above, in the Feature category in the News Photographers Association of Canada’s Pictures of the Year competition. Results were announced Saturday in Toronto. You can see all the winners at the NPAC site . 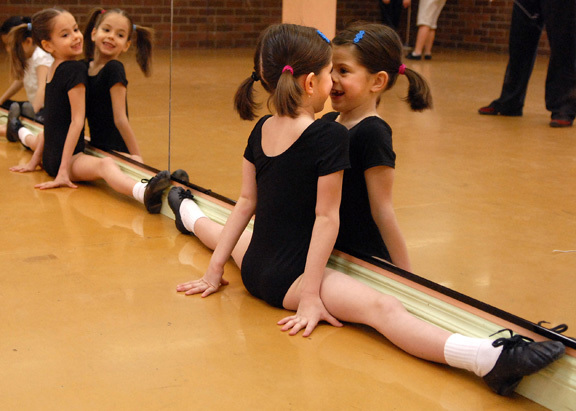 The photo shows a young ballet student making a face at herself while doing stretching exercises before a class. The girl at left is her twin sister. I’m not really a ‘cute kid’ photographer but they seem to win awards for me. Last year I placed in the Suburban Newspapers of America competition for the photo below of a young boy checking to make sure he was saluting correctly during a memorial service. I helped judge the photo entries at the Sooke Fall Fair this morning. 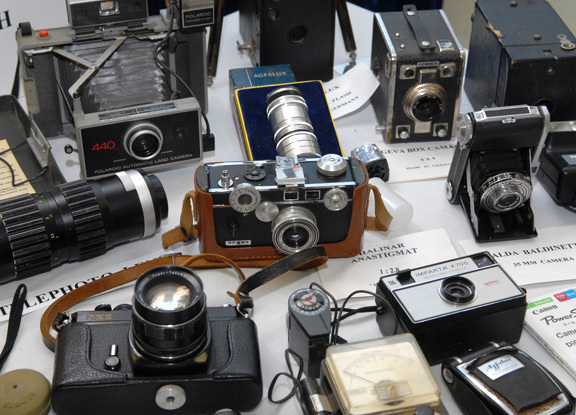 They had a display of old cameras in the room as well.